Doctor Joseph Jacobs is a cancer survivor. He used to suffer from chronic migraines, headaches, fatigue and pain before he invented Advanced Soft Tissue Release (ASTR) speciality. 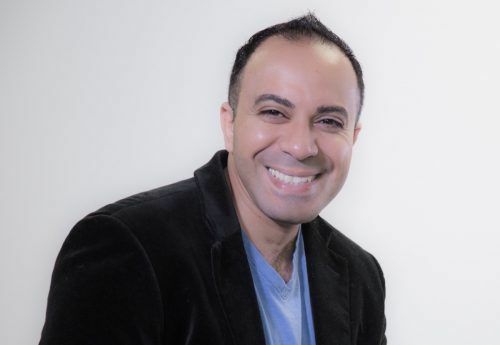 He holds a doctorate of physical therapy degree from Dominican College in New York and a bachelor’s degree concentrated in hotel & restaurant management from Fairleigh Dickinson University in New Jersey. Dr. Jacobs began researching and developing his new specialty to treat patients’ pain more effectively than methods he had learned in school. From 2011 to 2016 he continued to develop the maneuvers, tools, and methodologies that ASTR is composed of, and he continues to refine the elements of ASTR through ongoing research. Advanced Soft Tissue Release (ASTR) has been registered by the US Patent and Trademark Office. Dr. Jacobs’ life ambition is to continuously develop and research new instruments, theories, and methodologies that revolutionize the medical industry in order to more quickly and effectively alleviate pain. Dr. Jacobs spends on average 2 hours daily researching and developing new solutions. Current clients already believe that his techniques give immediate, long-lasting relief, so he is well on his way! immediate, long-lasting relief, so he is well on his way! Dr. Jacobs continue to spread his knowledge and research by teaching doctors and healthcare providers worldwide through a variety of platforms, including speaking in TedX Talks and being featured in several magazines. From celebrities to high profile politicians and professional athletes, Dr. Jacobs is trusted to offer long-term pain relief and effective ASTR therapy to patients from around the globe. Dr. Jacobs is the father of young twins, Gabriel and Lily. He enjoys playing the guitar and piano, spending time with his dog, Luna, and hiking with his wife, Lindsay. He is also an active member of a local church.